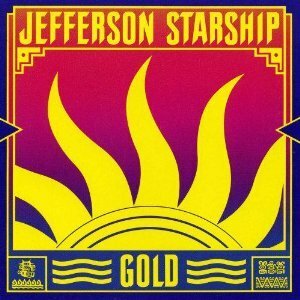 The Jefferson Starship are ·one of the more remarkable Jobs of a late Sixties acid rock band re-tool their image so that they might fit in the Seventies marketplace. The original Airplane, if you· remember, were a group of LSD crazies who espoused the glory of chemically expanded consciousness years before Carlos Castaneda got Into the act. In their original conception, the Starship became paranoid revolutionaries (on paper anyway) who'd lost any grasp they had on reality, and whose political broadsides resembled a Psychedelic piece of hate literature. (The peace and love gleam had faded from the Jefferson Airplane’s collective gaze and the first Starship album, Blows Against the Empire, was a quizzical and quixotic way of trying to rouse their fans to act of resistance. I’m still hesitant to say that writing a semi-rock opera centering around hijacking a starship and heading out some a cosmic place where longhairs, dopers and select people of color wouldn’t be hassled by the man was the best way to change one’s lived-in circumstances. Ah, the Sixties…) In this age of lower expectations, though, it's understandable that the Starship's rebel stance has wizened, and that their music has become more commercially approachable. They've placed themselves safely on the record charts with a series of hit singles and albums, the sounds of which border on the easy-listening lilt of Fleetwood Mac, Peter Frampton, or The Eagles. Lucidly for old Airplane fans, the new Starship has produced several well-crafted hits, most of which are on Gold. The standout track is Marty Balin's "Caroline," a superbly produced and arranged song that screams for radio programmers to include it on their playlist, "Miracles, " a stunningly layered ballad with an elusive, captivating melody that is , besides, perhaps the greatest song ever written with oral love references, and "With Your Love." There will be those die-hard rock and roll counterculture adherents who’ll feel that the Starship has betrayed the cause, whatever that might be. One must remember, however, that the Airplane/ Starship has a formidable body of work complete with stratospheric highs and the lowest lows, and their momentary upswing on the record charts is more than anyone could expect from a band who, by rights, should have burned itself out years · ago. 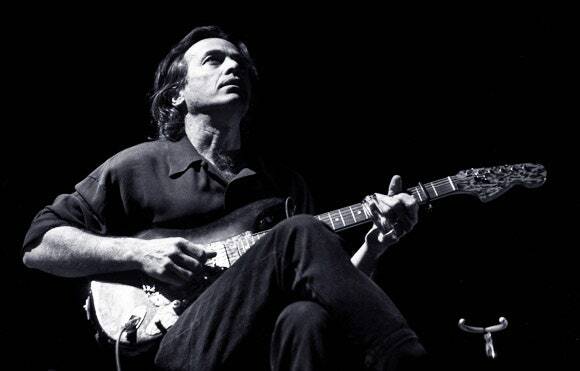 The more I thought about it, the less I wanted to attend the Nov. 16 Ry Cooder concert in the UC gym. Cooder, I knew, made a name for himself for the slicing slide guitar work he did on the Rolling Stones Let It Bleed album, a record I enjoyed. But word had it that Cooder was a dyed-in-the-wool folkie, someone who does songs they've learned from hillbillies, blues pioneers, sailors, and other sources. In other words, Cooder wasn't any Hollywood pretty boy stroking his Ovation guitar while singing self-penned tomes to his own sensitivity, like Jackson Browne (though Browne's stylistics their own reward), Rather, Cooder was strictly bucolic, with rough edges In both voice and guitar work, not a virtuoso but engagingly honest in presentation to an audience that I suspected picked up on folk music as part of a collective rejection of high art in general. But while my admittedly dour presuppositions could have turned into a self-fulfilling prophecy ("The old and still adolescent school of making up your mind before being in possession of facts), I realized I needed to switch off the contempt. It was a bit like culture shock in your own culture. Cooder, without the band he's been using for most of this tour, ambled sleepily on stage!! and sat in his chair and goaded the sound crew to "goose” the volume up in the monitors, finally imploring them to " crank it. Don't be afraid." The height of his performance was his guitar work. Basing his styles in rural blues inflections and country picking techniques, Cooder's approach is an enticing hodgepodge of effects that don't fall into any category, but rather rest between the boundaries. His picking is quick and firm, with the vigorous pulling of the strings, and his chord mix ragtime jazz progressions, classical chording, and blues phrasings with egalitarian ease that's positively organic. His slide work, his strongest forte, avoids the dying dog moans that neophyte players, mostly British, manage, and _ maintains a solid flow of incisively slashing riffs. The fact that he seemed affable and good-natured worked in his favor as well. He seemed to enjoy the songs he did, avoiding the sort of inverse snobbery I thought pervaded this genre and its audience. Cooder debunked that prejudicial nonsense. Opening the show was Mike Seeger, Pete's brother, who played banjo, fiddle, autoharp, harmonica, Jew’s harp, as well as guitar, set the night's mood with an amicable way of going about his job. The highlight of his set was his Jew’s harp playing, which with the utilization of the University's super fine sound system, approximated the unearthly buzz of interstellar insects, a ploy Pink Floyd might consider next time they take their million-dollar quad system on tour. It's astounding that sometimes the strangest emanations come not from smoky, sparking, colicky electronic amplifier banks, but from the recesses of man's musical past. His concert was refreshing to remember that not everything we’ve done as species is ugly and created with it in mind to stomp on the next guy.